Nothing portrays the vast might of our Creator quite like a thunder and lightning storm. Though the bright flashes and piercing thunder may cause some to tremble, the extraordinary power that is displayed by thunderstorms sends an important message. 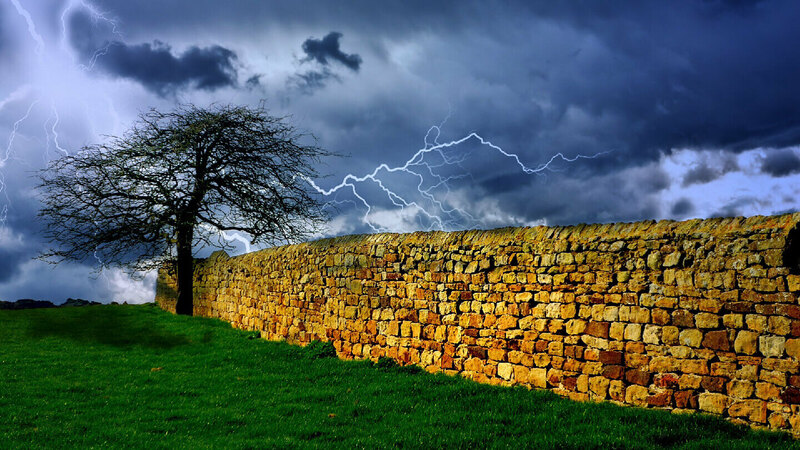 There are many teachers in Judaism who have tried to speculate the reason why God created thunder and lightning as they do not have a very clear purpose. What possible use could these startling flashes of light and deafening crashes of thunder have? In other words, thunderstorms serve as a reminder to us that God is in charge of our lives, they are a demonstration of His might. Oftentimes, we forget who is ultimately in control. We think that we can anticipate and plan out the future, just like we try to forecast and predict the weather. Thunderstorms remind us that this is not the case; they serve as a display of God’s power and dominion over our lives. Likewise, they can cause us to correct our hearts and remember what is truly important. There are two traditional Jewish blessings for when one sees lightning or hears thunder that were created by the Sages. According to Jewish law, one must recite the blessing right after seeing lightning or hearing thunder within 1-2 seconds of its occurrence (Shulchan Aruch 227:3). If the opportunity is missed, one can try and say the blessing again when the next bolt of lightning strikes or clap of thunder is heard. In addition, these blessings can be said only once a day, the exception being if a storm clears completely from the sky and another separate storm begins later on. בָּרוּךְ אַתָּה ה’ אֱלֹהֵינוּ מֶלֶךְ הָעוֹלָם עוֹשֶׂה מַעֲשֵׂה בְרֵאשִׁית. Blessed are You, Lord our God, King of the Universe, who re-enacts the work of creation. בָּרוּךְ אַתָּה יהוה אֱלהֵינוּ מֶלֶך הָעולָם שכחו וגבורתו מלא עולם. Blessed are You, Lord, our God, King of the Universe, whose strength and glory fills the universe.